Pictured left to right at the Chesapeake Chamber Music Volunteer Picnic are Mary Riedlin and Jerry Jana, the 2015 Chesapeake Chamber Music Volunteers of the Year. Pictured left to right are Chesapeake Chamber Music’s Gala guests Elizabeth Koprowski, Charlie Thornton, Suzanne and Steve Brigham, and Bernice and Jerry Michael. 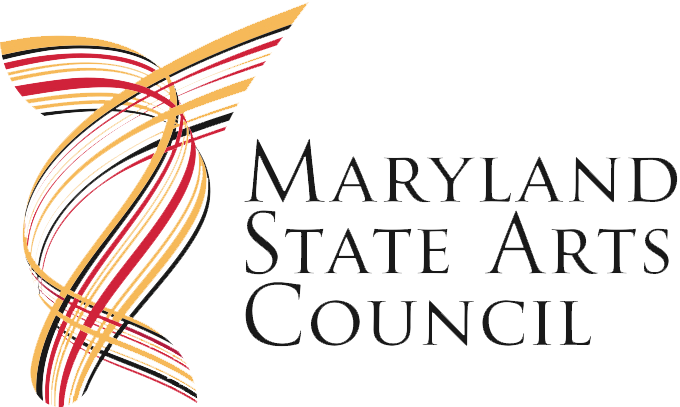 Bernice Michael is the chairperson of the 2015 Chesapeake Chamber Music Festival. Pictured left to right are Chesapeake Chamber Music Gala guests Barry and Susan Koh with Jeffrey Parker and Chance Negri at the Tidewater Inn in Easton. Pictured left to right are left to right are Lin and Steve Clineburg, Co-Chairs of the Celebrate 30! Chesapeake Chamber Music Gala. 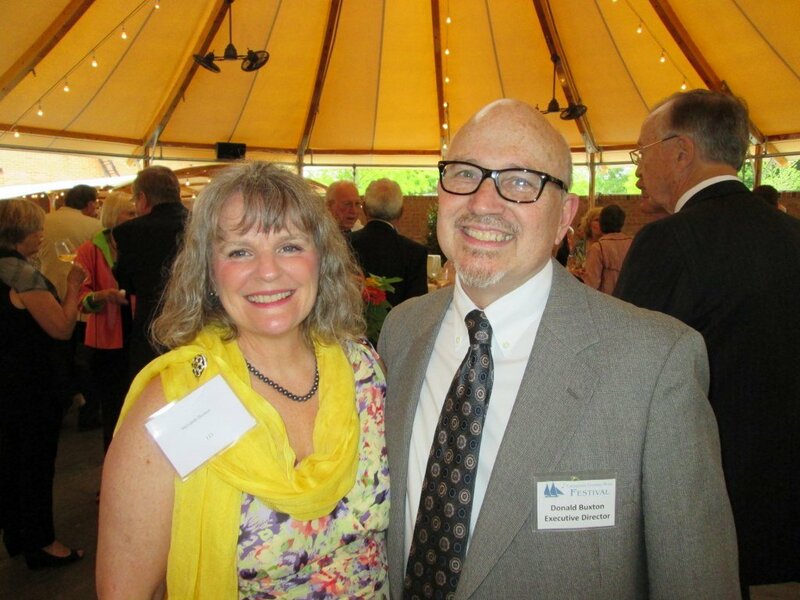 Pictured left to right are Meredith and Don Buxton, executive director of Chesapeake Chamber Music. On Friday, June 5, Chesapeake Chamber Music (CCM) kicked off its season of festivals with a celebratory fundraising event, “Celebrate 30!” at the Tidewater Inn in Easton. Guests enjoyed a cabaret-style evening with live music by the Chuck Redd Quartet, including singer and pianist Champian Fulton. The evening event, organized by Lin and Steve Clineburg, Co-Chairs of the event, included passed hors d’oeuvres and open bar, followed by a bountiful gourmet cocktail buffet. There was also a raffle of a variety of themed baskets and a silent auction. 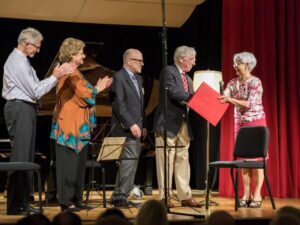 This year’s annual Chamber Music Festival drew record crowds and enthusiastic audiences who attended six concerts, five Artist Showcases, and two rehearsals open to the public at no charge. The 13 events were held in various Eastern Shore locations. 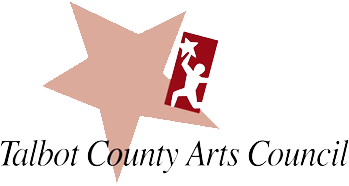 Venues included such perennial favorites as The Avalon Theatre, the Academy Art Museum, historic St. Paul’s Church in Centreville, Trinity Cathedral in Easton, and St. Michaels Middle-High School Performing Arts Theater. 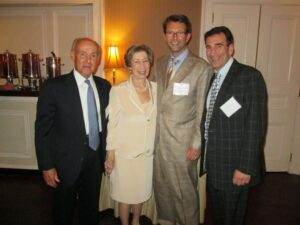 Two new venues were the state-of-the-art performing space at the Oxford Community Center and the Talbot Country Club. In celebration of Festival 30!, Chesapeake Chamber Music Artistic Directors J. Lawrie Bloom and Marcy Rosen commissioned the piece “New Horizons,” by 30-year old composer Roger Zare – a quartet for piano, oboe, clarinet and cello. Generous financial support from corporate, public and private benefactors enable Chesapeake Chamber Music to offer affordable tickets to both its annual Chamber Music Festival and the Monty Alexander Jazz Festival. For additional information, visit www.ChesapeakeChamberMusic.org or call 410 819-0380. 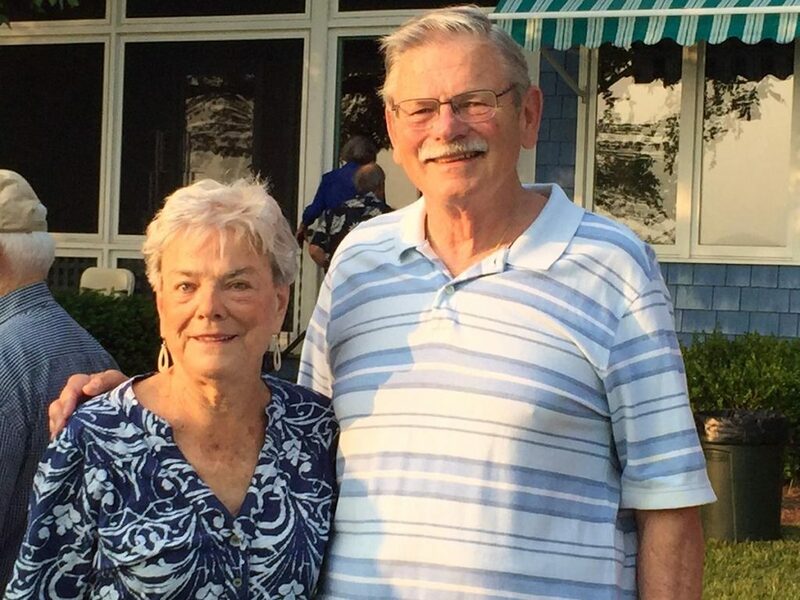 #1: Pictured left to right at the Chesapeake Chamber Music Volunteer Picnic are Mary Riedlin and Jerry Jana, the 2015 Chesapeake Chamber Music Volunteers of the Year. 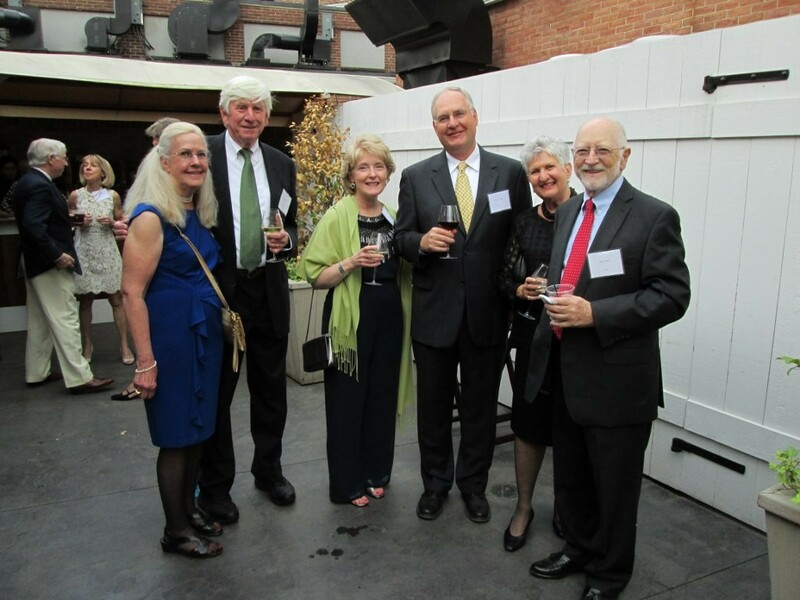 #3: Pictured left to right are Chesapeake Chamber Music’s Gala guests Elizabeth Koprowski, Charlie Thornton, Suzanne and Steve Brigham, and Bernice and Jerry Michael. Bernice Michael is the chairperson of the 2015 Chesapeake Chamber Music Festival. #4: Pictured left to right are Chesapeake Chamber Music Gala guests Barry and Susan Koh with Jeffrey Parker and Chance Negri at the Tidewater Inn in Easton. 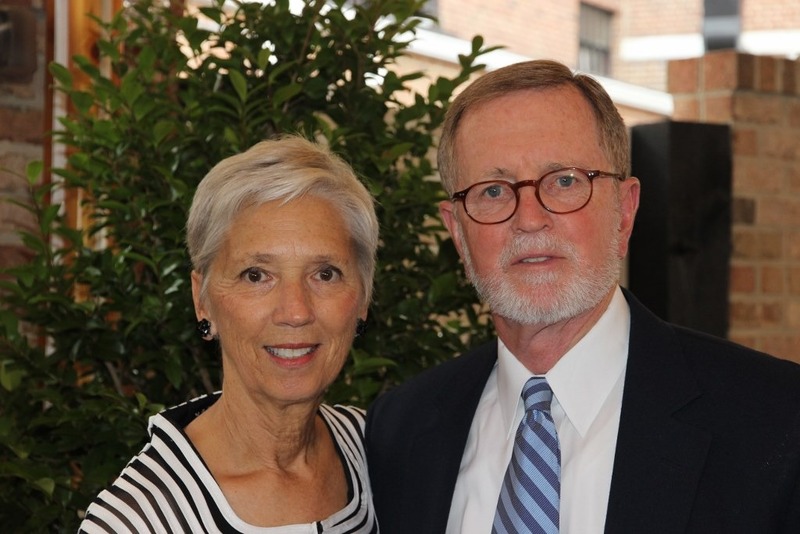 #5: Pictured left to right are left to right are Lin and Steve Clineburg, Co-Chairs of the Celebrate 30! Chesapeake Chamber Music Gala. #6: Pictured left to right are Meredith and Don Buxton, executive director of Chesapeake Chamber Music.